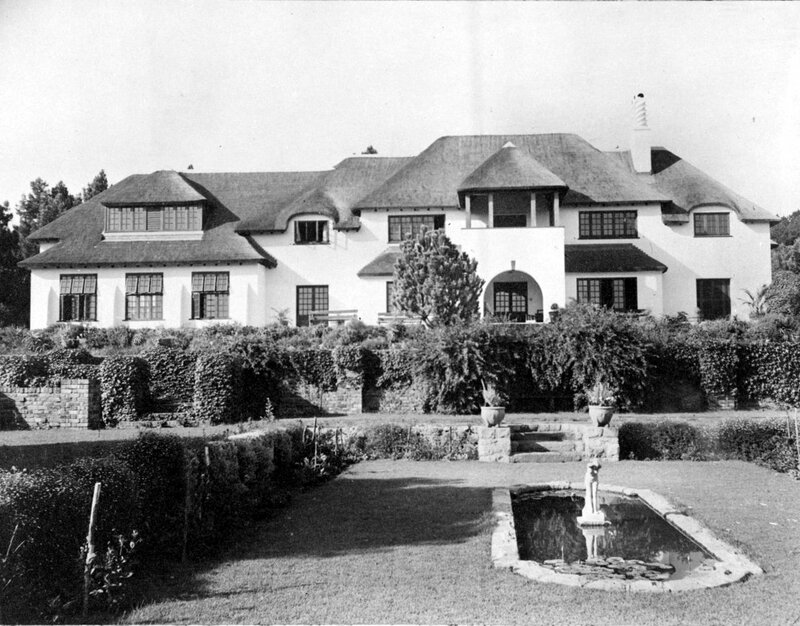 The first high commissioner, Stanley, took a five year lease from Lady Graaff on a house at Milnerton for his residence. Clark, Stanley’s successor, disliked the house but, as the time for the expiry of its lease approached, the Treasury was refusing to purchase an alternative. Undaunted, Clark reported that he had identified a chance of acquiring one of the best and latest houses in Capetown: called Silvertrees, then on Primrose Avenue on the Hen and Chickens Estate in Claremont and belonging to the trustees of the estate of the late Mrs Meglaughlin. The house lay in 2.25 hectares of well landscaped grounds, was about five years old, attractive, of two-storeys with a thatched roof, but slightly on the small side. The architect of the house, Brian Mansergh, had produced a proposal for an extension, likely to cost about £2,500, and the owners were happy to build this and lease the house for 15 years, with an opportunity to purchase at any time for £20,500. London was sorely tempted. The owners then intimated that they would abandon the extension idea and sell the freehold straightaway for about £16,000. The Office of Works insisted on comparing Silvertrees with other available houses, but there were no real competitors. The Treasury agreed in January 1937 to buying Silvertrees and adapting it as appropriate within a total of £20,000. The deed of sale was signed in May 1937. The Public Works Department under Cleland declined the Office of Works’ request to do the conversion and extension work, and so the job reverted to Mansergh, who added the porch, dining room, and maids’ rooms above the service wing. The garden was made slightly less elaborate so as to be manageable by two men. The house, still in the estate but its address re-named, came to the fleeting notice of the world in September 1994 during the visit of the prime minister, John Major, to South Africa. He was taken to Silvertrees direct from the airport, and later in the day jocularly declared that among the first things he had learned from his visit was that ‘The British high commissioner lives in unimaginable luxury here in Capetown – and we pay him too, but we may have to stop that.’ The house suffered a serious fire in 1999 but was rebuilt (at the insurer’s eventual expense) in 2001. 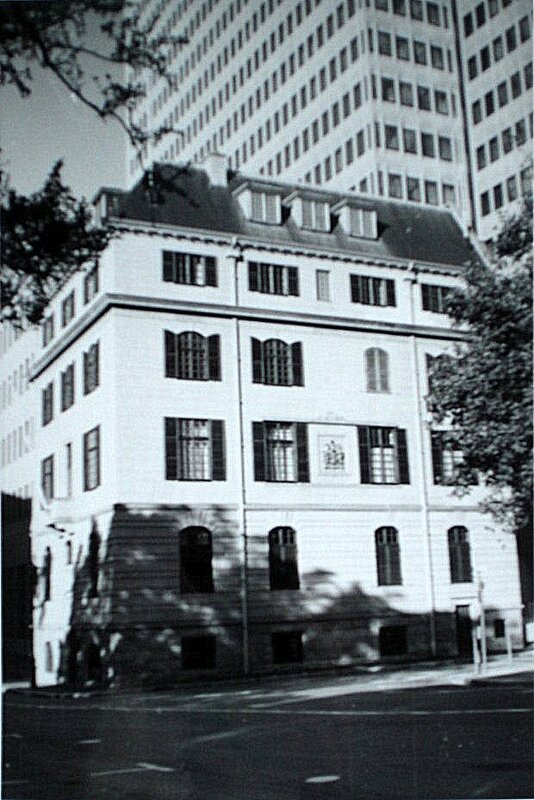 British high commission offices on Parliament Street, completed 1937. 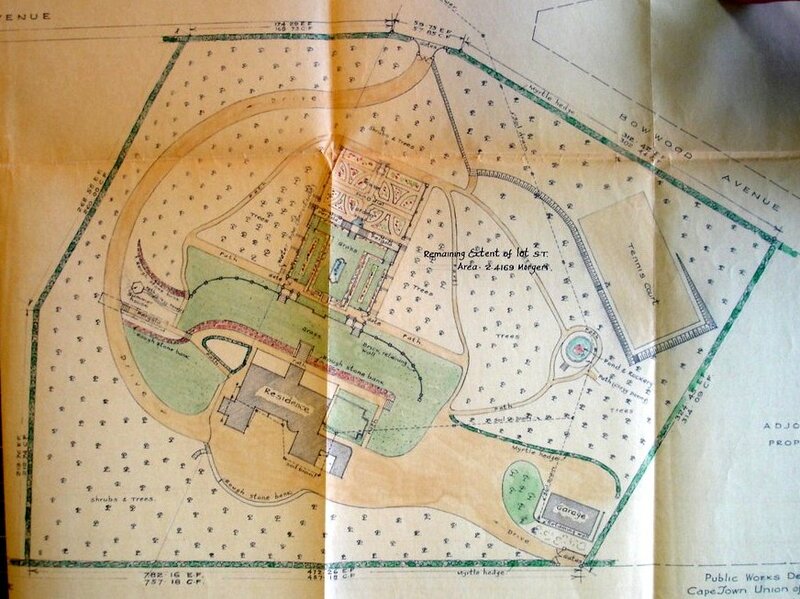 1936 siteplan of grounds of Silvertrees. 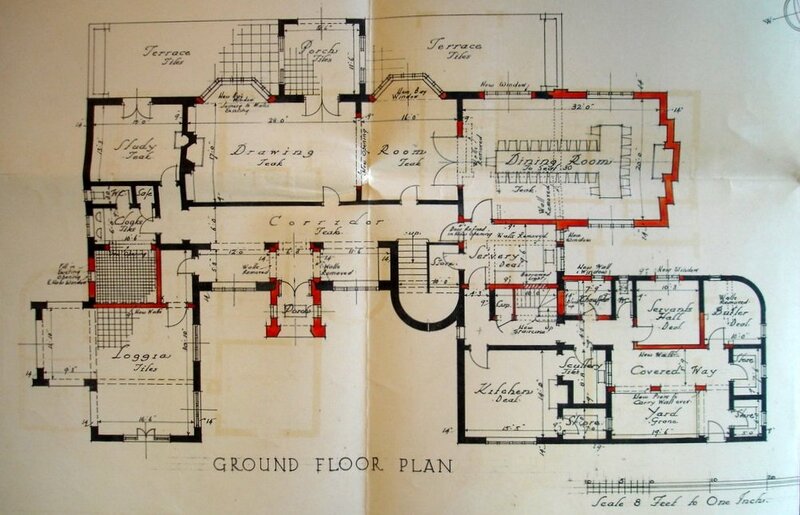 Ground floor plan of Silvertrees, 1936, with adaptations required for residence use shown red.